. . . . . . . . . . . . . . . . . . . . . . . . . . . . . . . . . . . . . . . . . . Nourishment for the Body , Mind and Soul. As a classic example of propagating communal harmony, Mohammed Zahir works as a caretaker of Lord Shiva temple in Khandwa, Indore. August, being an holy month of Srawan for Hindus where they worship Lord Shiva in different traditions across the country. Zahir still shows equal enthusiasm serving for the temple as he would do for a Dargah. According to Dainik Bhaskar, he sweeps, decorates the Shiva Linga and sticks around from dawn to dusk in the temple premises for the past six years. The temple comes under the Archaeological Survey of India (ASI) and they employed him as the caretaker. The 40-year-old man finds the job as a privilege and has been happy to serve the temple. 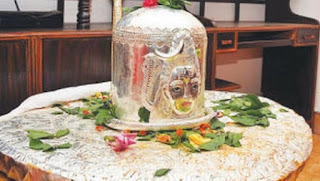 The temple does not have a ‘pundit’ to conduct prayers or do rituals and he sometimes commits to help tourists by offering their prayers and performs ‘archana’ to the Shiva Linga. Interestingly, he also serves a Dargah which is just a stone’s throw away from the temple which also comes under ASI. Zahir believes that his services to both the temple and Dargah will teach equality and harmony to his five children. This is a blog of 'LOVE'... to Share Divine Love amongst all.... a blog to share anything related to happiness ,well being,God, spirituality, nature,health ,universal brotherhood and humor (clean). 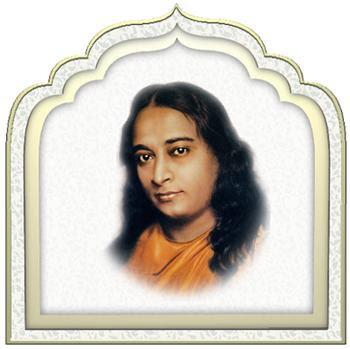 This site has huge collection of beautiful and meaningful spiritual wallpapers primarily based on the teachings of Sri Sri Paramahansa Yogananda and is an offering... a service... inspiration for his disciples world over. Sundays at 9.15 AM to 11 AM.